Delta is a small city between Grand Junction and Montrose that grew up around Fort Uncompahgre, a trading post serving the Ute tribe and early white settlers. 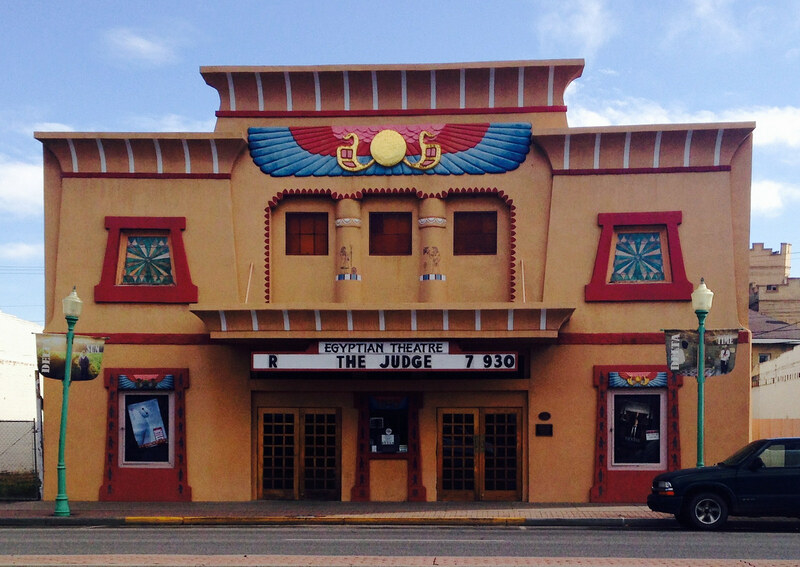 Today, Delta is a center for agriculture and recreation, with the Egyptian Theatre and other historic buildings downtown. Significant dinosaur discoveries were made nearby in the early 1970s. The Utes were living in the Delta area when fur trappers, traders and settlers arrived in the 1800s, and the area held a special place for the tribe because the site of the Ute Council Tree, a 200-year-old cottonwood where tribal elders convened their meetings. Fort Uncompahgre was built on the Gunnison River in 1828 by French trader Antoine Robidoux, who chose the area because Utes gathered there and a natural ford nearby provided easy access across the river. Robidoux also built the Mountain Branch of the Old Spanish Trail through the San Luis Valley and over Cochetopa Pass to serve the fort. The fort was attacked by the Utes during a dispute with Mexico in 1843, was left vacant and eventually deteriorated as the fur trade declined. A replica was built in Confluence Park in 1989. The city was incorporated in 1882 and named for its location on the delta of the Uncompahgre River, which rises in the San Juan Mountains and feeds into the Gunnison River at Delta’s Confluence Park. In the early 1970s, Delta rockhound Vivian Jones discovered the first bones of the Supersaurus and Torvosaurus on Dry Mesa. Brigham Young University then excavated 4,000 bones from 17 different dinosaurs from the Dry Mesa Quarry, which has since been closed. The Delta County Historical Society Museum has dinosaur bones found by Jones. In recent years, retired British rock star Joe Cocker was living near Delta and would come to town from time to time. Cocker was known for his gravelly-voiced covers of songs by the Beatles and other bands. Cocker died at his Colorado home in December 2014. Land area: 5.5 square miles. County: Delta (Delta is the county seat). Altitude: 4,953 feet above sea level.